It tells the story of a futuristic world where brutal entertainment helps distract from the struggle to survive in a society that elevates the heavily armoured & armed Wreckers onto a pedestal while the masses try their best to survive a vicious nano-plague. Protagonist Shinji straddles both worlds as he salvage’s what he can to level-up from a rookie Wrecker while trying to help his sister deal with the symptoms of the dreaded plague. An android sidekick named Crash is added into the mix for Shinji and his significance for both the Weckers & the nano-plague itself becomes another intricate layer for a page-turning comic that easily goes toe-to-toe with anything in the mainstream. 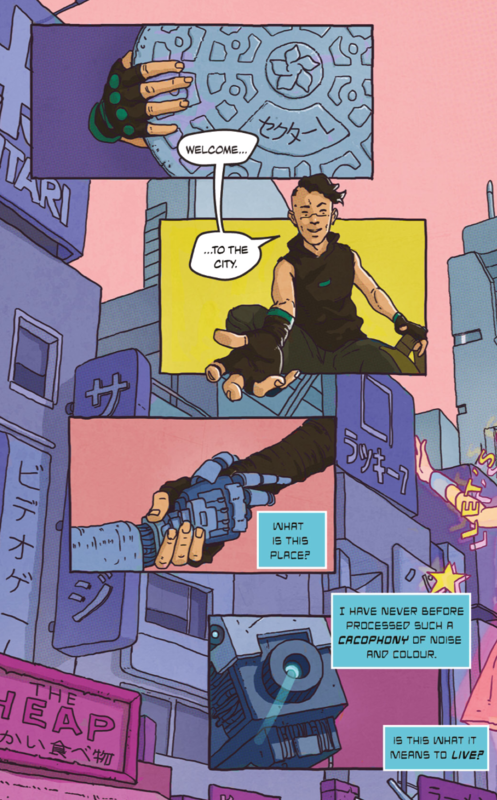 Dave does an astounding job at juggling that fine line between both worlds and while shades of Akira & Running Man creep into the story, there’s no denying that his vision of a cyberpunk cityscape beats with a fresh heart at its core. Craig’s artwork then solidifies that vision with the type of detail & colour palette that combine to give the comic book equivalent of shouting “LOOK AT THIS” into your face…….it’s THAT good. Rob Jones adds the finishing touches to those pages with his lettering and the creative trio have combined to kick-off a new series that earns the accolades and elevates itself to the new indie heights that it’s hype promised. 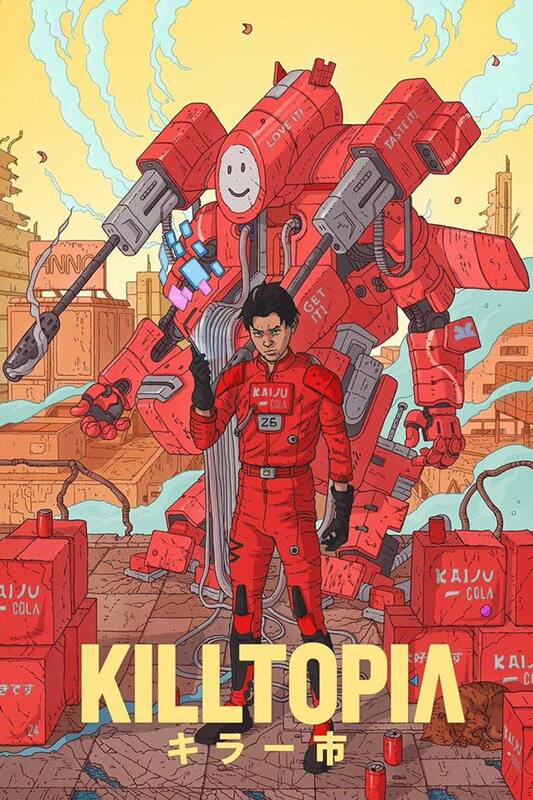 We’ve maybe only seen the first issue of Killtopia but given that it’s introduced what feels like a groundbreaking, fresh, smart & beautiful comic……..it’s a privilege to be on-board from the beginning. The campaign for the second issue will be kicking off on the 1st March and just look at the cover for it……. You can get hold of this first volume over on the BHP Comics online store and it’s been recently added to Europe’s leading digital platform, Izneo. You can also keep up to date with what’s next on the Killtopia Facebook page or on Dave’s Card Shark comics website, Facebook & Twitter pages. This entry was posted in Comic Reviews, Indie and tagged BHP Comics, Craig Paton, Dave Cook, Kickstarter, Killtopia, Rob Jones by G-Man. Bookmark the permalink.